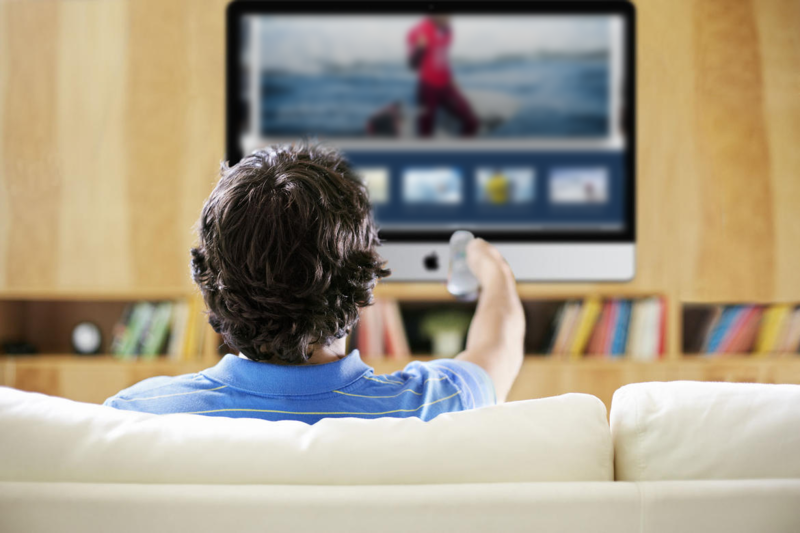 How do we bring surfing into the living room? 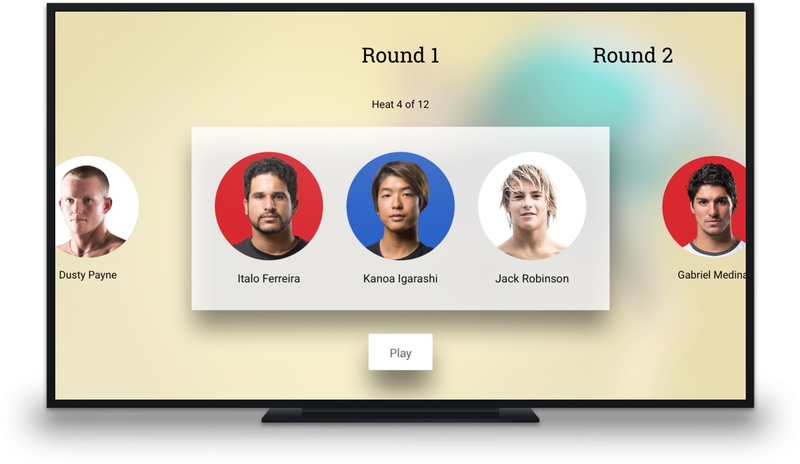 World Surf League Apple TV app. The release of the new Apple TV, opened up the TVOS app store to the world. 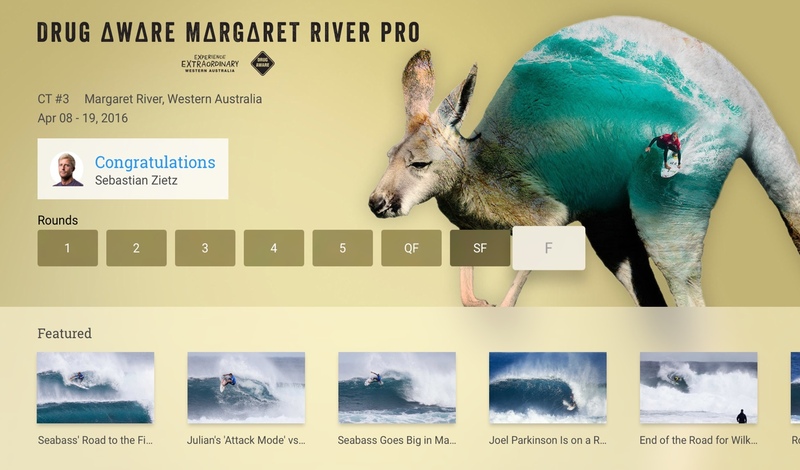 The platform seemed like a natural fit for the World Surf League (WSL), giving the WSL an opportunity to focus on long-format content in the home, as opposed to short snack-able content geared for mobile and tablet devices. 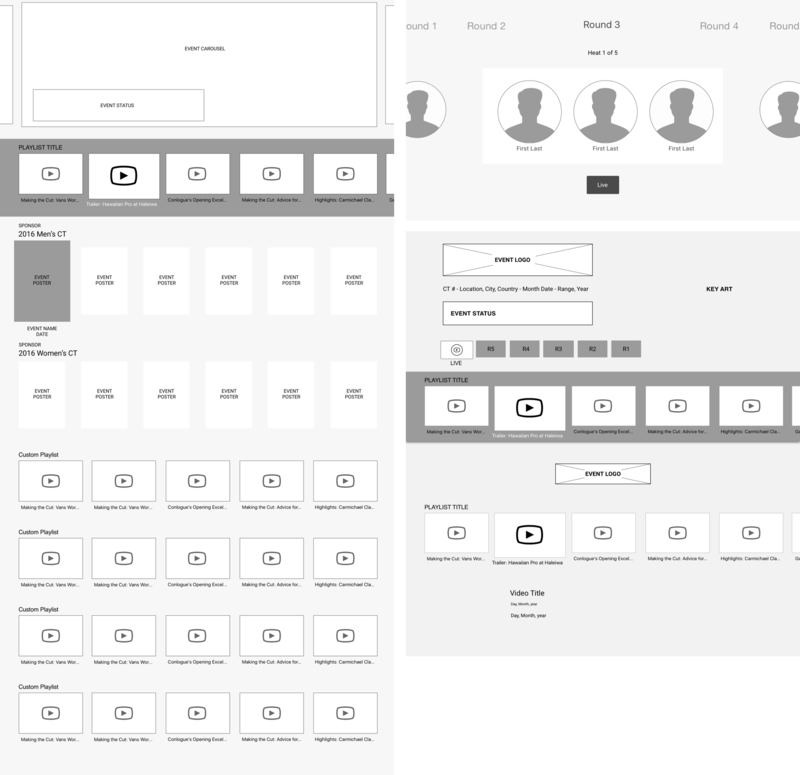 After taking time to study how others were using the AppleTV platform we were able to decide which screens were most important to user experience. Less screens were required than we initially expected. The next challenge was to clarify the uniques goal for each of the main screens. 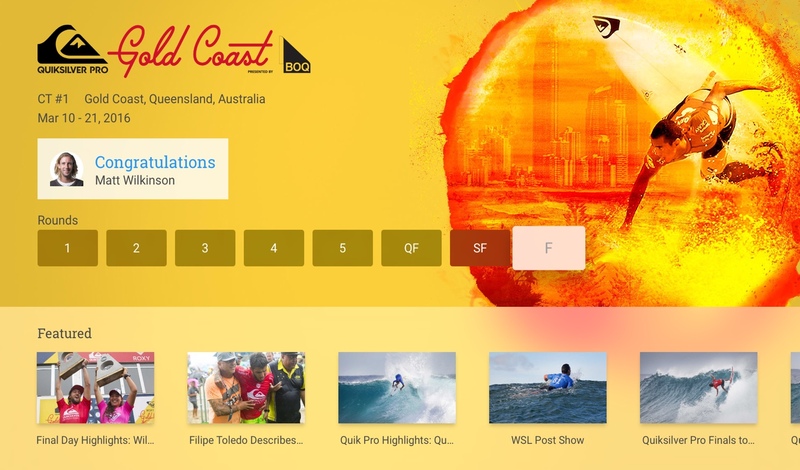 Give fans a way to check event status stay up to date with profession surfing. 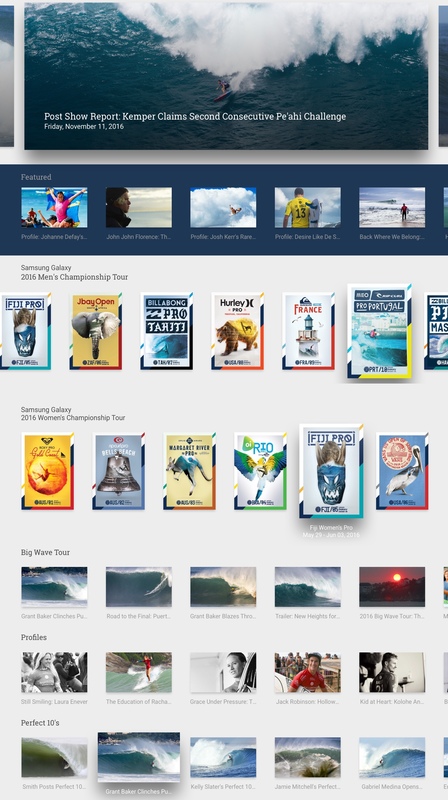 Create a unique branded experience for each championship tour stop to house all relevant event videos. Showcase heats and athletes while communicating heat status. 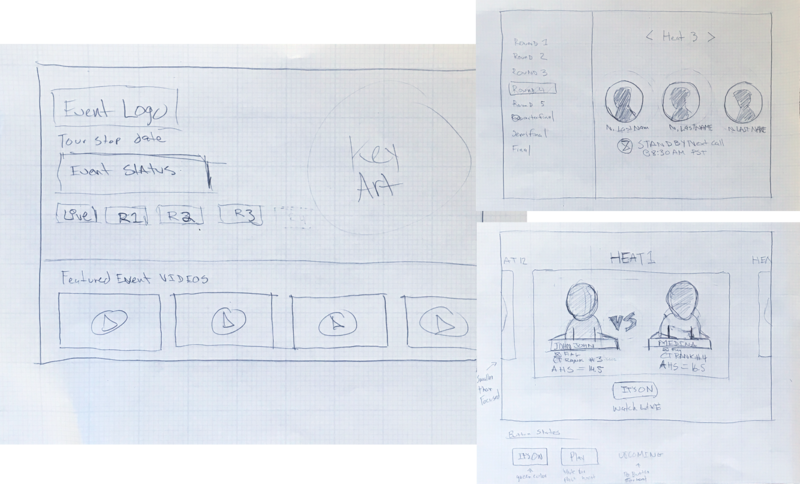 Once we came to an agreement about the basic flow and decided which screens were most important to the app, I began sketching potential design solutions. The next step was to talk with the developers which solutions were possible. From the sketches I rendered out wireframes and began mapping out each of the event states. Working with the editorial team we decided that two carousels of content at the top would be the most useful. The first carousel is used primarily to promote an upcoming or live event. This carousel would be the one used in Apple TV home carousel. The second carousel is where non-event related content can be queued up. Below the carousels sits chronologically ordered event posters. This helps give fans a sneak peak into the event story as well as provides and event calendar. Below the event posters the editorial team is free to create the playlist topic of their choice. The biggest challenge to the event overview screen was keeping the stakeholders aligned. 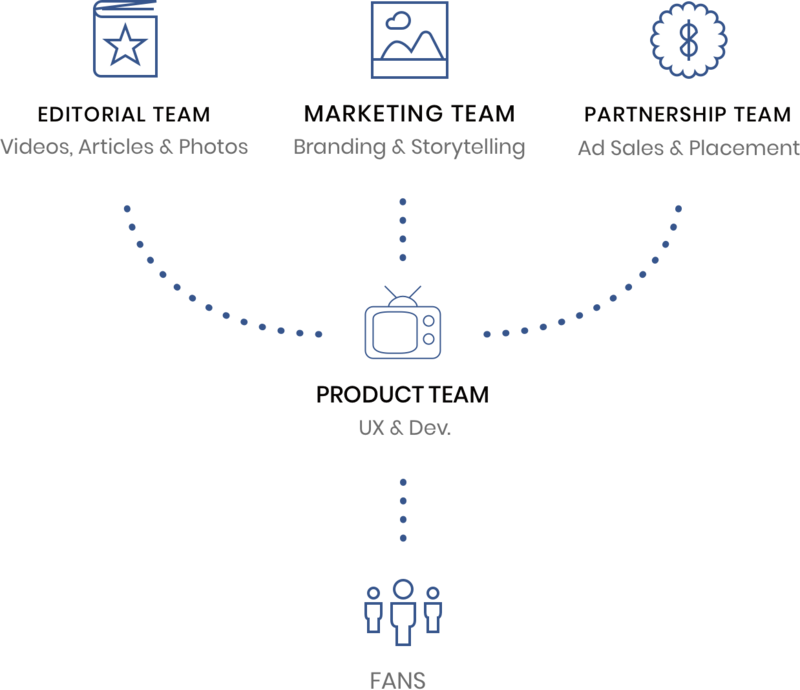 Each event overview page needed to reflect the poster art and brand guidelines provided by marketing. The page also needed to provide value to the partnership team when selling event sponsorship. Finally, the page needed to be easy for the editorial team to update. The last page to complete was the rounds page. The focus on this page was making sure we paired each name with a head shot. It was important to make sure fans could recognize the surfers and know who to root for. Overall the App was very well received. We had 120,000 downloads the first week. Apple featured us as Best New Sports App and Best New App. Currently the app is still featured in the app store carousel. Average watch hours increased for 21 - 33 minutes. Average video starts per week increased to 3. 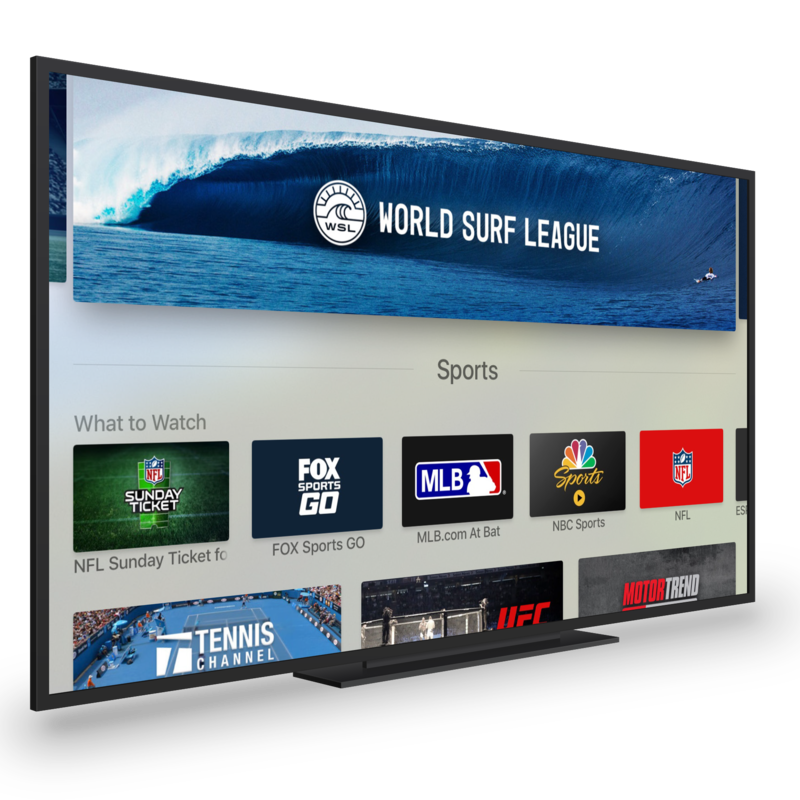 The platform was ported over to the Samsung Smart TV and now comes installed on all New Samsung TVs.